I have a real love/hate relationship with IKEA. The first big commercials I landed as a designer were for IKEA. It was a mad whirlwind of a week doing 10 commercials in 2 days. I basically had 1 day to plan and one day to shop before the shoot ––and shop I did. I had multiple carts and a crew of Ikea personnel to help me pull hundreds of items for the shoot while my art director was in Manhattan shopping for everything else we needed. I spent hours going over every square inch of the Elizabeth NJ store. It was madness for so many reasons –– one of which was that my cell phone didn’t work inside the store so I had to run outside all the time to check on my art director’s progress or answer his questions or tell him what I found. Lord knows but it all worked splendidly and the campaign was so successful that we were asked to do another series a few months later. Although the next round of commercials was equally successful, they moved on to a new (less successful) campaign so I was done with IKEA –– so much for nothing succeeds like success. I swore I’d never set foot in IKEA again and didn’t for ages. It was sort of like what happens when you eat too much of something and can’t think of it without turning green –– IKEA overload. Because of that, I always had my decorator take care of shopping there ––you can’t do a contemporary movie in NYC without using IKEA. Eventually, I relented and have walked many miles in their stores in the last few years. One thing I can never get enough of at IKEA is their Swedish Meatballs. They were the fuel that got me through many a shopping frenzy. It probably didn’t hurt that they reminded me of the meatballs that my mother often served at bridge club –– sweet and savory and so darn good I would often snag some from the pan as she made them. IKEA, mom and bridge, who knew? My new blog-friend, Maggy Simony of The Bridge Player Chronicles got me thinking about my mother’s bridge club menus a few months ago as we talked about bridge party food. Talking to Maggy brought back a lot of mom memories, including those wild Jello salads that my mother was soooo fond of for her bridge get-togethers as well as cheesy casseroles, snazzy shrimp dishes and these meatballs. I have to admit it, I have IKEA to thank for the final push I needed to get a good Swedish meatball recipe. Last time I was in IKEA in April, I bought some of their lingonberry preserves after downing a plate of their meatballs to restore me after a few hours of shopping. After chatting with Maggy and running into the jar on the pantry shelf a few times, it seemed the Swedish meatball spirits were aligning to get me to make them (and they keep working their magic–– I've made them 3 times in 2 months!). Sadly my mom’s recipe is lost, but doing some research I found one that sounded just about right at Cooks Illustrated, full of very wise tricks that turned out perfect, juicy meatballs positively bursting with flavor that had the best of both mom’s version and IKEA’s. It differs from my memories of my mother's version in that the preserves aren't in the sauce as my mother's was, rather served on the side. I think both styles are delicious. Although they are served with potatoes at IKEA, for some reason I always thought of them with noodles. So I decided to try them with a smoked noodle recipe I made during the cooking marathon at my friend’s place in Vermont over Memorial Day weekend. They have a giant smoker and I got it in my head to smoke flour. We put about an inch of it on a giant sheet pan and let it smoke for an hour or so, stirring every once and a while. I used my favorite Thomas Keller-based noodle recipe and was crazy about the results. I thought the meatballs would be excellent with my noodles and they were. 2 months later, the flour still smelled of smoke. You can try my noodle recipe or use dried fettucini (Maggy suggested you could put a little liquid smoke in the water with dried pasta with some of the same effect –– great idea). Although I didn’t show them in the picture, they are served with crisp little vinegared cucumber slices –– a perfect foil to the rich meatballs and sweet preserves. 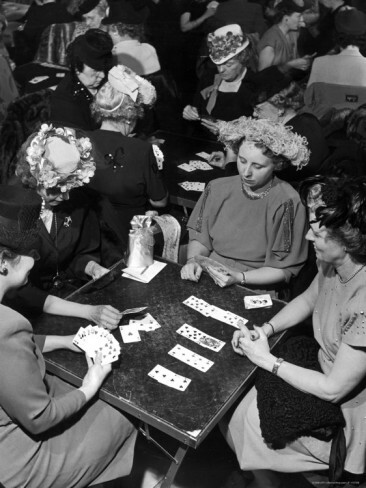 All I can say is no wonder mom’s bridge club parties were so popular with food like this fueling the card playing. Combine the egg, cream and bread and let them soak for an hour. Put in a standing mixer with the paddle attachment and add the port, onion, spices and rest except the beef. Whip it till it becomes a homogenized paste. Add the beef and combine just until mixed, don’t over mix. With wet hands, make about 20 meatballs and refrigerate till ready to use, they will be very soft so refrigerating is a good idea. Add the butter and when it foams, add flour to the pan and cook over low heat for 30 seconds or so. Add the broth slowly and cook till reduced to 1 cup and then add the cream. Return the meatballs to the skillet, add the lemon juice and salt and pepper to taste and peas if you are using them and reheat the meatballs and serve with lingonberry preserves, cucumbers and noodles. Boil everything but the cucumbers till the sugar is dissolved. Pour over the cucumbers and let cool. Put in the fridge to chill. Mound the flour and put the rest of the ingredients in the middle. Slowly bring the flour into the mix and combine to a dough. It will be sticky but a good deal of kneading will make the dough quite silky. Let is rest for about an hour and then put through your pasta machine. The Swedish Meatballs sound to be rather good and would work very well, we think, as a supper dish. How really exciting to have worked on commercials for IKEA, a company which has been hugely successful in so very many countries. Personally we loathe it although have to admit that some things, and here we think of glassware and large church-type candles - are excellent and of very good value. The furniture we consider to be dreadful and, in our view, unlikely to last. But that should suit today's society. I'm inspired to once again try to get to Ikea. The one nearest me (Woodfield Mall outside of Chicago) has eluded me a number of times. I see it from the freeway, get off, can't find it and give up. Your Swedish meatballs look and sound delicious. Isn't it wonderful when food brings us sweet memories? Wow this dish looks easy to make and everybody loves meatballs. Every time I'm in IKEA I end up buying something mostly for the kitchen. Seriously, wonderful recipes - I love the simple pickles. I have a great one with malt vinegar that rocks as well! Deana... I had to smile when I saw your post. My 21 year old son and I were there yesterday to shop for few things for his last year of college. I also have a love hate relationship with the place and many times have just walked out with nothing or a bag of tea lights. We had a grand time together yesterday, he found lots of things he needed including a wonderful new Duvet cover and sheets. Guess what we had for lunch? We sat and watched the planes take off at Newark airport, there was lightning, and we both mentioned how long it had been since we had Ikea meatballs. They were really good. I will definitely try your recipe....soon! My husband and I also swore off Ikea after several bad experiences when we built our home in Germany. Fast forward to moving to NYC last year and buying a weekend house in PA - we just couldn't escape Ikea. One stop shopping when you only have weekends to furnish a new house. In all my years of shopping there in two countries I have never tried their meatballs. Yours look wonderful...and that smoked flour idea is pure genius. IKEA's loss, my dear. You do things with such flair and your talent is undeniable. But I AM pleased they inspired this recipe! So clever to smoke the flour. I doubt I'll ever do it, but I'd sure love to taste it. Those old bridge luncheons were a hoot. I used to play duplicate until one day I looked around the room and half the women there were substitutes I didn't know. Very discouraging and at the same time, some things came up in my personal life so I left the group. (They want me back, but the rules have changed so drastically, I'd have to take lessons again.) The jello salads were de rigueur but I doubt anyone ever served a dish a delectable as this. I, too, have never been into an IKEA store! We do not have one in Wisconsin and the nearest is about a 2-hour drive away in Illinois. I have heard some stories that haven't been encouraging - that's why I haven't been tempted to make the journey. I would be tempted to journey into those delicious Swedish meatballs, though! It's a funny coincidence that I made my mother's Danish Frikadellar recipe last night which is similar. The smoked flour really sounds delicious with these! I said: "Me too"! That's too funny.. So I totally get the on the fence statements.. However I have never eaten in an IKea.. we rarely eat out:) Truly..But I have heard great things about them.. But the smoked pasta Wow I would love to make that! My mom played bridge too..
What is it about Ikea ? It's impossible to go there and not have meatballs ! IKEA is in our neighborhood. There I have connected with the strong Scandinavian culture here in Minnesota and you can't find a better menu for Swedish meatballs! AND AT A GOOD PRICE!!! When it is killer diller cold outside, off we go to IKEA which is situated right next door to the Mall of America; there we go WALKING for at least 2 hours to get our exercise. Many a fun time has been had in IKEA. I love how you meld memories with food. I cannot help but shed a tear when I smell, let alone TASTE something truly MEXICAN. It reminds me of the wonderful family feasts and romps in the kitchen to make TAMALES for Christmas. We would all have a job to do and then by late evening, the house was full of people who came by for fresh, family-made tamales. looks like heaven on a plate! Great post as usual. I am not a cook but you are one of the few people that make me feel like I should be. I will try someday, and glad to have these posts to inspire. I'm not a huge fan of shopping at IKEA (or any other big box for that matter) but I am definitely a fan of your meatballs! They sound heavenly, especially paired with smoked pasta. I love the Scandinavian countries and the people. I really like well-prepared meatballs, and your recipe sounds like a winner to me. BUT, I think IKEA sells junk, despite their "international success" (look at Wal-Mart's 'success'), and would NEVER purchase anything from them to put into my home. On the other hand, I was gifted with a few jars of their Lingonberry jam last year, and it was truly superb! 10 commercials in 2 days? Wow, hats off to you! This post has been bookmarked for immediate attention! I've loved Swedish meatballs ever since I was a kid and I had them at the home of my friend Olaf, who was Swedish. His Mom made the best I have ever tasted, and I've never been able to replicate that flavor. Until now... ? What is it about moms, bridge club and Swedish meatballs. My mother was Italian 100%, but still served these when she hosted bridge club. Of course we all snuck in for a taste and relished the left overs too! Thanks for another great post that brought back fond memories!